TAMPA — A teenager was hit and injured by a car Friday afternoon. 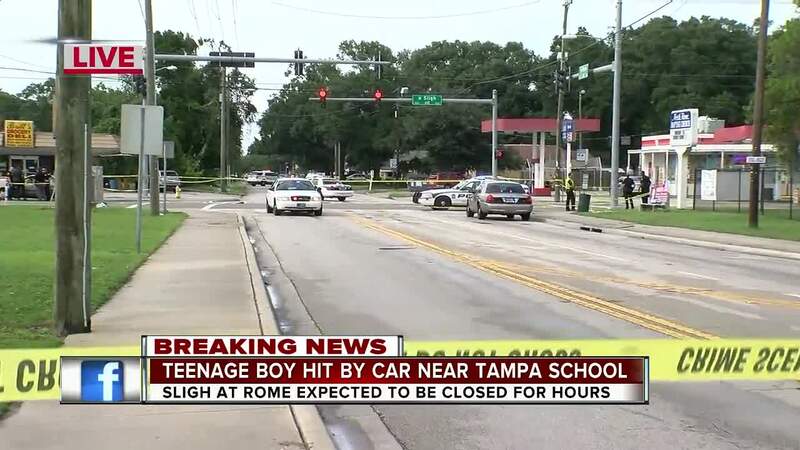 The accident happened around 3:44 p.m. near the intersection of Rome Ave. and Sligh Ave. in Tampa, which is located steps away from Tampa Bay Christian Academy. Police say the victim is 16-year-old Jephté Germain-Rogers. He was rushed to a nearby hospital in critical condition after being hit by a 1992 gray Honda Accord. The intersection was closed for several hours while police investigated, but has since reopened. "It's unimaginable, you know. School just started. It makes you want to hug your children even tighter. It's scary, definitely a scary feeling," said parent Megyne Calonge. The driver of the car stayed at the scene following the accident, according to police. 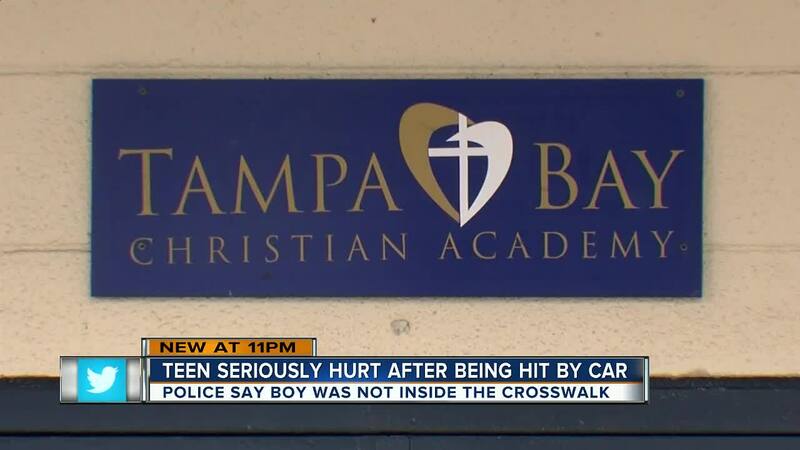 The principal at Tampa Bay Christian Academy wouldn't confirm if the victim attended school at the academy. The school released the following statement: "We are all terribly saddened by the accident that occurred today. The entire TBCA family is praying for this individual, as well as his friends and family." Police told ABC Action News the teenager was not in a crosswalk as he was attempted to cross Sligh Avenue. Tampa Police said officers are still investigating, but at this time no criminal charges have been filed against the driver. The story is developing, stay with ABC Action News for updates.